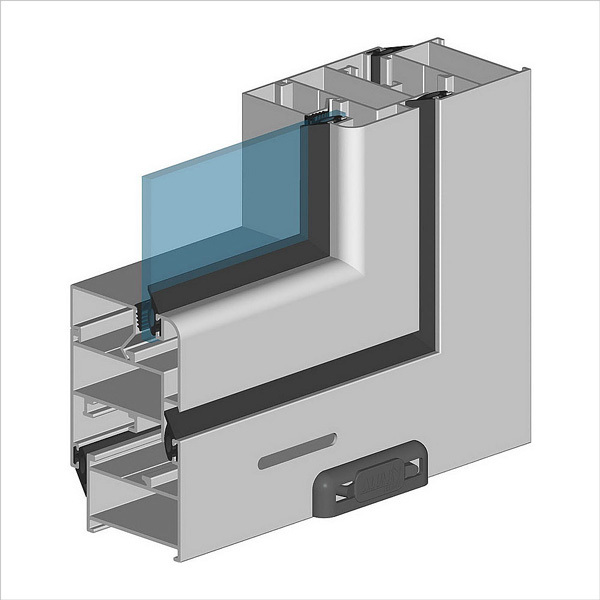 ALT100 is a system of aluminum profiles designed for manufacturing of balcony glazing frames. 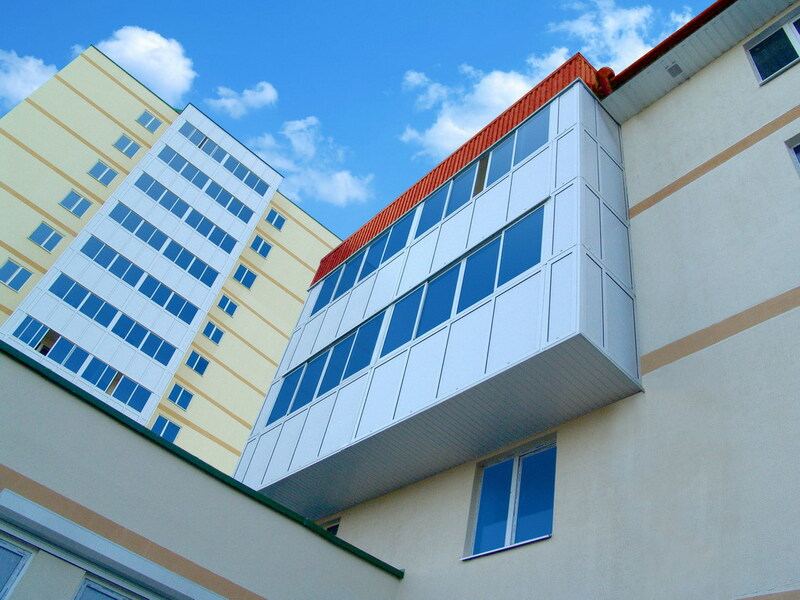 The frames protect balconies and loggias against rain and wind, noise and dust, improve thermal insulation, contribute to coziness and comfort. The system allows manufacturing constructions with sliding, swinging and fixed leaves. Various construction variants assembled on the basis of ALT100 series profiles can be combined with each other with the help of angle adapters and connectors. The number of leaves in a construction may vary depending on the width and height of the required glazing. Their height and width are selected on the basis of the wind loads affecting the construction in the region of application in compliance with SNiP 2.01.07-85 "Loads and Exposures" and SNiP 2.3.06-85 "Aluminum Constructions". 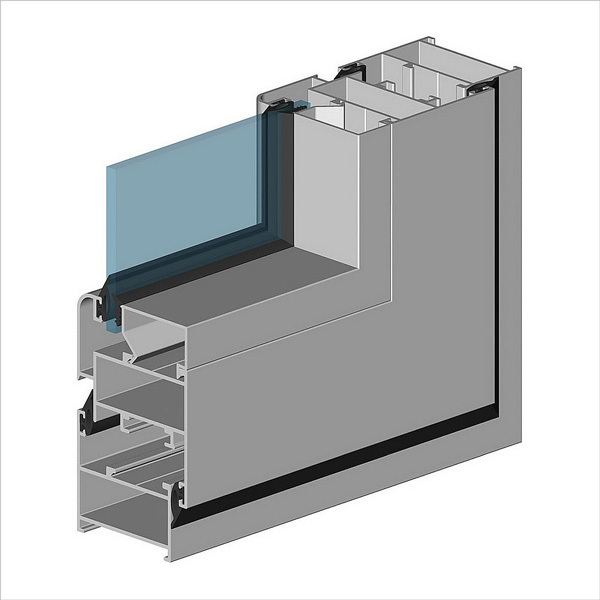 All ALT100 system profiles are extruded exclusively from the primary aluminum (as well as all the other ALT system products) and coated with polyester powder material that ensures durability and high resistance to atmospheric influence. ALT100 allows designing and manufacturing balconies and loggias that match the architecture of any building. The system enables performing reconstruction and renovation works on existing buildings as well as constructing new ones. 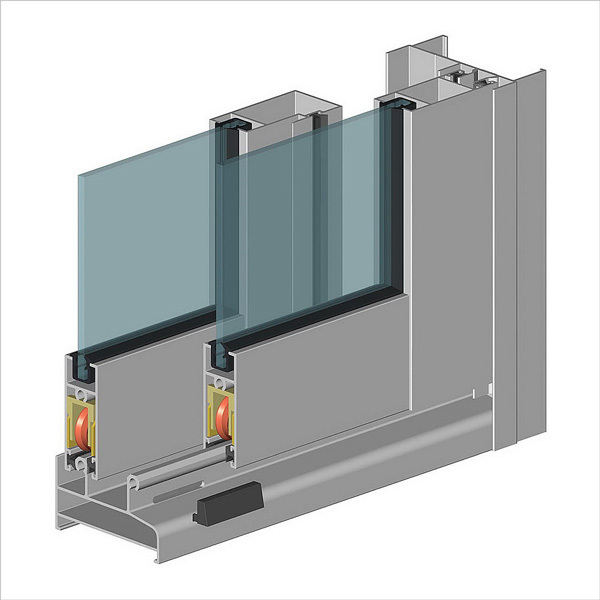 The system of drainage openings in the bottom frame of the sliding balcony part, the incline of its surface and special plugs provide removal of precipitations and protection against water penetration. 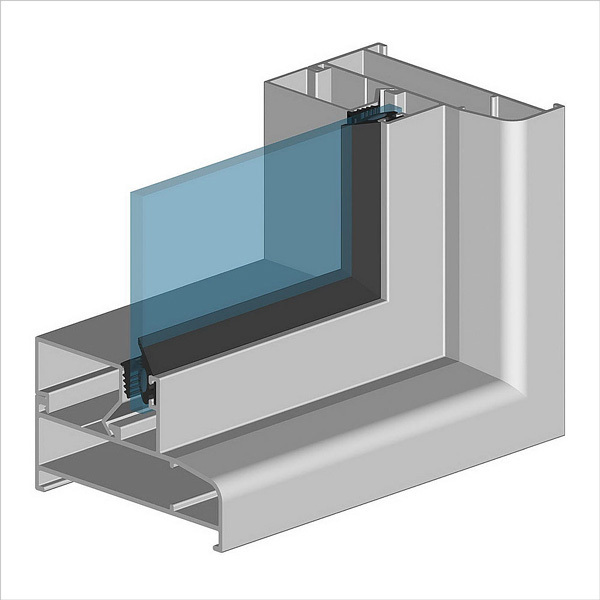 Depending on the used fillet and EPDM gasket in the sliding, swinging and fixed parts of the balcony, it is possible to install glass 4 mm, 5 mm, and 6 mm thick. The end rabbet component is made in the form of a “swallow tail” thus enabling quick adjustment and quick installation of the strike under the lock catch without milling. 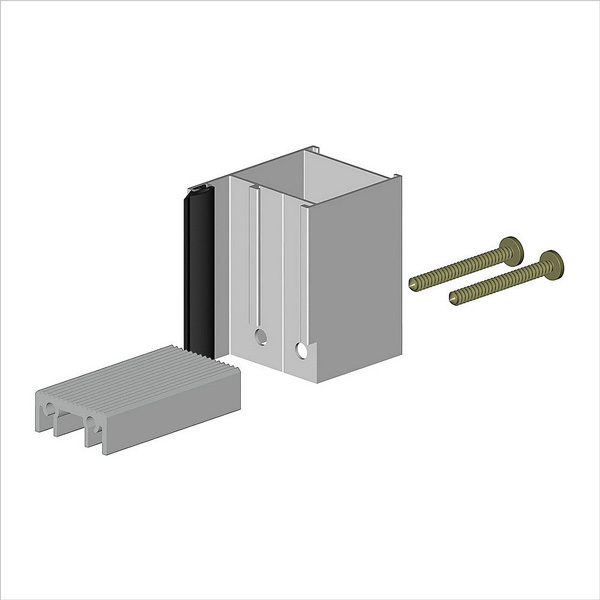 The meeting profile is easily snapped into the leave and does not lean against the mounting kit. The system is easily assembled and installed, and does not require expensive processing equipment. 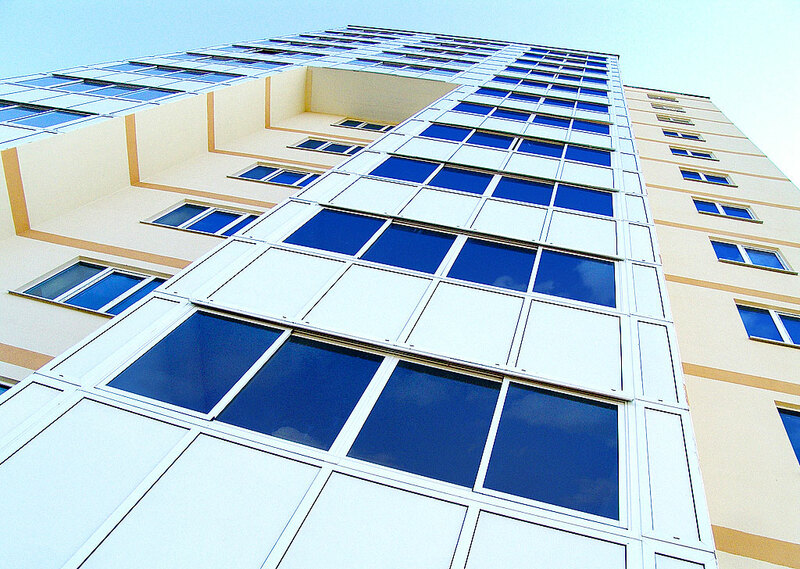 In the sliding part of the balcony the frame and leave profile are overcut at 90°. The construction is assembled using self-threading screws. Additional milling is required only to install the lock. Swinging and fixed frame profiles, as well as swinging leaf profile are cut on the cutoff saw at 45° and are tightened together with aluminum embedded corners. All the grooves required for the assembly, and also punching of corner openings are performed with a special pressure die. Felt gasket ensures protection against external exposure and prevents leaves rattling. The leaves can be easily removed and replaced, which facilitates the balcony servicing. At the same time special vertical limit stops prevents the leaves from falling out in the event of wind gusts and ensure protection against entry into the premises from outside. By the process of ALT100 series profiles we use standard press machines with dies designed to process Provedal series profiles provided that the die clamp is replaced. ALT100 system includes profiles for manufacturing of the following constructions: sliding, swinging and fixed glazing. use of wide (60 mm) and narrow (40 mm) frame profile is possible.